But after taking a close look at the study, Carbon Brief “found that the section of the report on climate change erroneously conflates the Paris Agreement target—which is to limit warming to ‘well below’ 2.0°C by the end of the century relative to pre-industrial levels—with a scenario that has much more modest emission reductions which result in around 3.0°C of global warming,” the UK-based publication states. The confusion centres on a single paragraph in a short, two-page section of the longer report that summarizes past technical studies but presents no new research, Carbon Brief notes. The net result is a major gap, laid out in detail in the Carbon Brief critique, between the findings in the original studies and the interpretation in the UNEP paragraph—which was later amplified in the agency’s media release for the study. In a scenario where the Paris targets are met, multiple models project Arctic warming between 0.8 and 4.5°C from 1986 to the 2050s, and between 0.5 and 5.0°C into the 2080s—with a “multi-model mean” of 2.8°C on both time spans, and reduced emissions limiting further warming in the second half of the century. 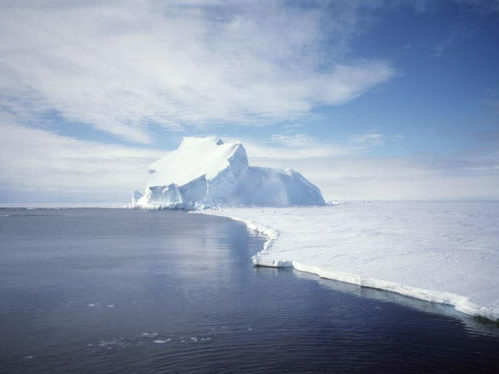 In The Guardian’s coverage of the report release, UNEP Acting Executive Director Joyce Msuya pointed to the still-pressing concern that the Arctic could reach a “tipping point”, in which rapid permafrost melt leads to massive atmospheric methane releases that trigger runaway global warming.